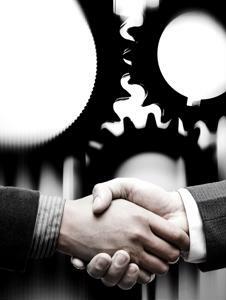 Establishing and maintaining good relationships with suppliers is critical to the performance and success of a business, and it should be something that is monitored and practiced throughout the entire duration of the contract. But sometimes it is easy to forget that one of the best and most important times to start improving supplier relationships is right at the beginning of the partnership. Starting early is advantageous because it sets the stage for how the relationship will unfold and can greatly influence whether it will be a mutually beneficial engagement or not. If you haven't done business with the vendor before, it's hard to know exactly how it will pan out or what problems may lay ahead, if any. But there are ways to increase the likelihood that it will be a smooth and valuable partnership. Clearly communicating with suppliers is imperative. Both parties need to know exactly what the expectations are, including both the short- and long-term goals. According to a research report published by PwC, the top challenges businesses face with supplier relationship management, aside from a tendency to over-focus on costs, are misalignments with objectives and insufficient skills and capabilities when it comes to SRM. By getting as specific as possible, managers can help their suppliers better understand what they need to do to serve them best and reduce the chances of miscommunications occurring down the road. Let them know what metrics will be used to measure their performance, as well as how frequently. Make sure you are both on the same page about how, when and by who the reporting will be conducted. It would also be helpful to make it clear from the very beginning which products and services in particular of theirs you are interested in - and which ones you most likely never will be. Make sure you have a clear understanding of what their goals and needs are as well. Offer to connect them with someone else in your network that may be of value to them. By communicating to them that you care about their success, rather than just what you are getting from them, they will be more inclined to return the favor and perceive you as a trustworthy and valuable partner. As Mickey North Rizza pointed out in an article for CIPS, "If you are aligned with your suppliers and treat them as partners, both businesses will experience higher success rates, decreased risks and enhanced collaboration and innovation." Establish a platform that allows integration and collaboration so you can ensure you will both be able to access necessary data and information throughout the process. Gaining more insight into supplier operations can be beneficial to both parties because it facilitates workflow efficiency. In addition, being able to access and track the status of various processes and functions can help supply chain managers ensure the supplier is staying on target, as well as identify the source of any delays or inaccuracies. One area of supplier relationship management that should never be skimmed over is the written policies and documents. Putting in writing who will be responsible for what is important for risk mitigation and it can prevent breaks in production or business continuity due to confusion or misunderstandings about how a certain incident response should be executed. Also, make sure the service level agreements are written into the contract. Remember that being adamant and diligent about the supplier contract management process is something that benefits third-party vendors as well, so it should be an aspect they are happy to cover with you. Supplier relationships can be difficult to navigate but, at the end of the day, making them a priority can offer significant gains. Although it is a business partnership, it is helpful for participating parties to remember that the same basic rules in other personal relationships are applicable in the work environment as well. Vendors want clear, ongoing communication and to be treated with honesty and respect. Making it a point to utilize these simple steps, both in the beginning and throughout the supplier contract cycle, can save businesses from conflict.